Presence is the possibility of being open and available in each moment. 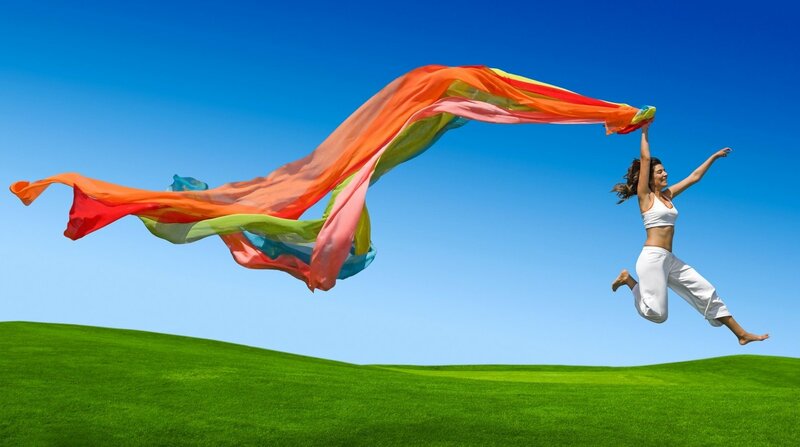 Such openness brings to each moment our whole being: our body and its senses; our mind, perceptions and attitudes; and our intentions and aspiration. We are clear in ways that allow things to bestow themselves on us. The presence of life exists for us all the time. Strolling through a bookstore, I can pick up a new book, and stumble by chance on other titles that move me and provoke ideas. This romantic version of life is not possible in the same way in our online wanderings. The serendipity of life is an experience to cherish—not just for our well-being (although that is enough), but because our next opportunity to learn, to grow, to lead, or to innovate is hidden in the subtle details, ready to emerge when the world stops rushing toward us. 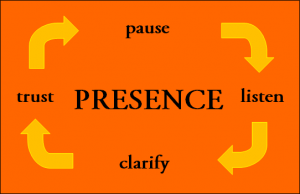 We’ve popularized the term “presence” in such a reductive manner that it resembles a trait, competency, or skill. Whether leadership presence, executive presence, coaching presence, social presence, spiritual presence, or even online presence, it implies an external state (often akin to being present) or focused attention, accessed through kinesthetics or kinetics, expressed as chemistry, charisma, or charm. These external traits may represent an observable part of presence, but they hardly reveal the entire story. First, presence involves inside-out discovery—openness and awareness, freely accessing our being to hold, express, and connect to the moment fully. Second, presence is realized, not produced; it is not a skill to improve how we do things, but rather flows from our authentic or natural being. Third, there is no formula or gimmick (such as focused eyes, nodding heads, soft gaze, deep breathing, or correct posture) to make it happen. Fourth, crudely speaking, presence is a being-in and being-with phenomena that can both taste and animate life. Presence may look like charisma, but it can also look contemplative. Presence first calls us to locate ourselves in the world fully, letting it animate us as we engage it. Presence demands inside-out (first-person) learning and a connection to oneself and others that begins with a willingness to hold the moment. The hidden source of distress in business … is not bad strategy, old culture, or faulty data; it’s our disregard of the power that holding the moment plays in quality thinking and listening. 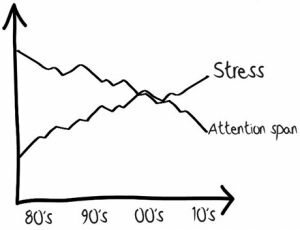 Our VUCA (Volatile, Uncertain, Complex, and Ambiguous) work life finds us forgetting how to hold the moment. Leaders and managers deal daily with an onslaught of information and increasing complexity that leads to unpredictable change, all of which assaults our senses. In the last two decades, life beyond work—our recreation and social lives—has shifted almost entirely from the physical to the mental realm. Without intentional mental hygiene, we are destined to experience further fragmentation and incoherence. The hidden source of our distress in business and at all levels of leadership is not bad strategy, old culture, or faulty data; it’s our willful disregard of the power that holding the moment plays in quality thinking and listening. Holding and expanding the moment to receive the world requires mindfulness. Absent this capacity, we find cluttered minds that cloud thoughts, pollute listening, and project “mental overload” onto strategies—all to boost reflexive actions. To create space and cope with the fallout of change, we can bring mindfulness to a regular pause. By pausing between events, connecting to the floor, breathing, and resting our awareness on ourselves, we can clear our mental clutter. With this regular practice, we will become keen observers, and open ourselves to witnessing and clearing our minds as we engage life. Presence taps our humanity and connects us to others by what matters most. A person of presence not only moves others but is moved by others, by events, and by life. To receive life in this way constitutes us as generative beings. Things matter to us. Music transforms our mood. Poetry pries open our heart. Nature lifts us beyond our petty concerns. A child on the street falls, and we reach over to help; we stumble on graffiti with a powerful message that halts our stride. An older gentleman struggles with an armful of groceries, and we rush to grab a door. A group of teens sings and dances in the subway station, and we pause to listen and pay homage to this unfolding talent. Becoming whole invites us to allow events, language, and the presence of beings to alter us—to rearrange our DNA.